Energizer Ultimate Lithium batteries offer the longest lasting power for your high-tech devices. This dependable, light-weight battery offers the latest lithium battery technology that's proven to be the world's longest lasting AA and AAA batteries in high-tech devices. Made from the lightest metal known, Energizer Ultimate Lithium differs from traditional alkaline batteries in its construction and chemistry. It is this unique composition that is able to meet the needs of today's high-draining devices and provide the longest lasting power available. 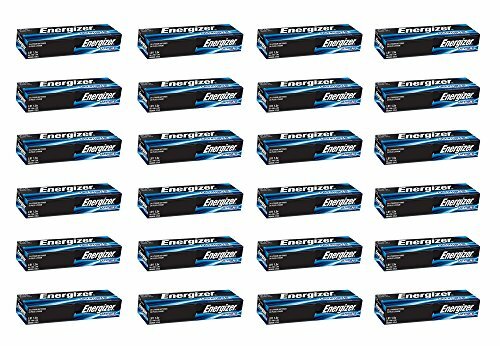 Energizer Ultimate Lithium batteries also produce up to 9X less waste in digital cameras than traditional alkaline batteries. Energizer Ultimate Lithium is the product that powers the devices that make your life easier and more fun. Digital cameras to capture memories, a handheld GPS device to find your way, and everything in between.